SunCommon, a Vermont Benefit Corporation, has chosen to divest its 401k portfolio from fossil fuels. The divestment announcement was followed by a staff-wide educational presentation by Maeve McBride of 350VT and Dan Quinlan of Divestor.org. In keeping with SunCommon’s legal charter that directs the company to attend to the triple bottom line of people, planet and profit, the 69 employees were offered mutual fund options that support clean energy. “At SunCommon, we believe everyone has the right to a healthy environment and safer world – and clean energy is the place to start. Divesting from fossil fuels was not just a moral play, it was a financial play. We’ve moved away from fossil fuels and in turn invested in our clean energy future,” said Duane Peterson, president and co-founder of SunCommon. SunCommon automatically signs up each employee to the company’s 401k retirement plan on their first day of work, matching up to 4% of their salaries. SunCommon employees, in three and a half years of business, have amassed over $740,000. “Those investments now will no longer fuel the planet’s carbon pollution, but will support thriving companies in the clean economy,” Peterson added. According to a recent analysis presented at the Bloomberg New Energy Finance annual summit, global numbers show more renewable power was added each year than coal, natural gas, and oil combined. This shift began in 2013, when the world added 143 gigawatts of renewable electricity capacity. That same year, plants that burn fossil fuels added 141 gigawatts. “Today, the US solar industry employs 174,000 Americans nationwide – more than tech giants Apple, Google, Facebook and Twitter combined – and pumps nearly $18 billion a year into our economy,” said Rhone Resch with the April 2, 2015 release of the U.S. Solar Market Insight 2014 Year in Review(link is external). Resch is president and CEO of the Solar Energy Industries Association (SEIA). 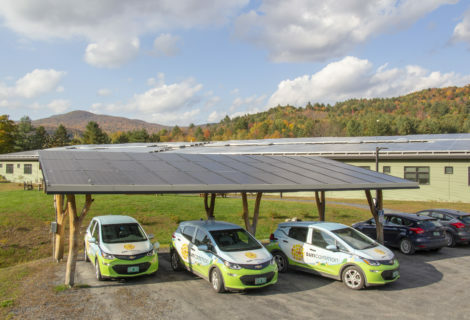 In Vermont, SunCommon built half of the state’s residential solar last year (3 of 6MW) and one-third of the commercial solar capacity according to the U.S. Solar Market Insight report. To meet the rising demand for solar, SunCommon doubled its workforce in 2014. 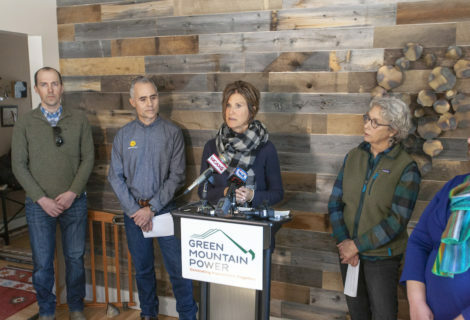 SunCommon joins a growing list of Vermont institutions committed to supporting clean energy. “It’s great to see SunCommon divest from fossil fuels alongside Sterling College, Green Mountain College, and Goddard College, as well as the many state employees who have chosen fossil free options for their retirement funds. The growing momentum of the fossil fuel divestment movement was reinforced this week with the announcement that the G7 leaders agreed we need to phase out the use of fossil fuels,” said Eric Becker of Clean Yield Asset Management, one of America’s oldest socially responsible investment advisory firms – based in Norwich. 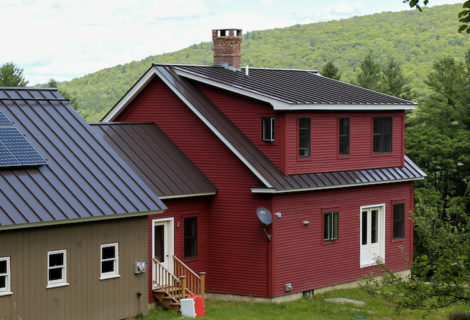 In just three years, SunCommon has helped over 1,400 Vermonters move toward energy independence by going solar.